As our family anticipates the opening of the newest Star Wars movie this weekend, we've been wondering if there is going to be a cameo in ROGUE ONE by one of our favorite characters R2-D2. 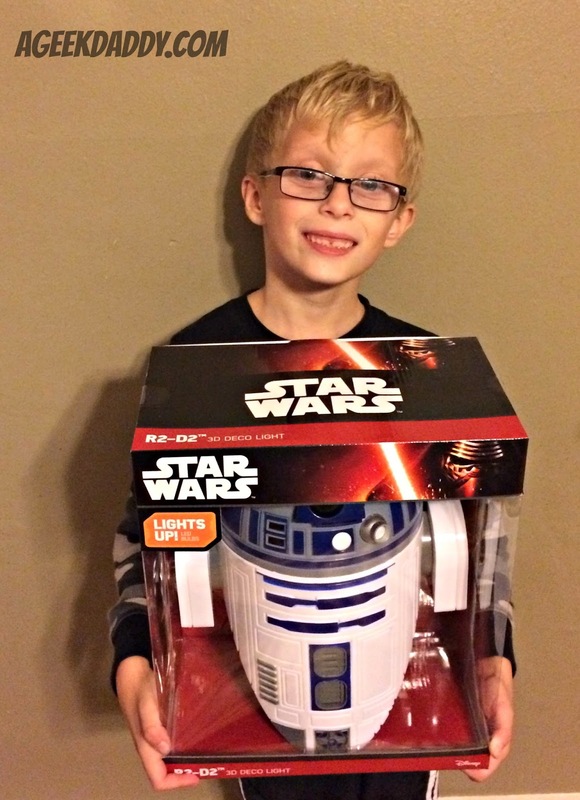 At least even if we don't see our favorite droid at the movie theater we'll be able to enjoy having him around the house with the recent addition of an R2-D2 3D DECO LIGHT to decorate my son's room courtesy of 3D LIGHT FX. 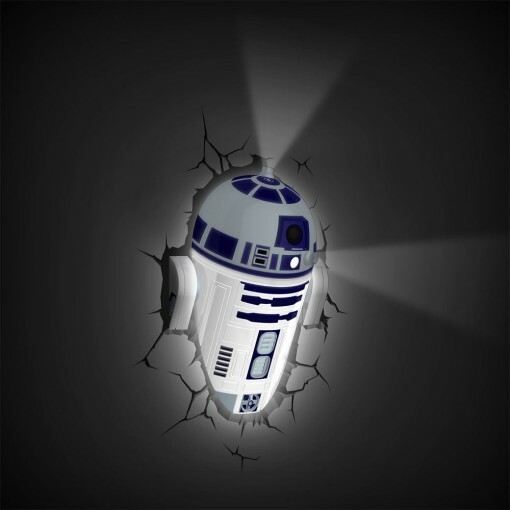 A nice model reproduction of the droid combined with utilizing the included decorative stickers provide an impressive appearance of R2-D2 breaking out of the wall coming towards you. Its 30 minute timer feature makes this a perfect night light, especially for older kids who may be embarrassed or not want to admit they appreciate one to help them fall asleep. 3DLIGHTFX 3D Deco Lights are the perfect gift this holiday season. They have a full range of comic book, super hero, Disney Princess, sports and car lights that look as though they are popping right out of the wall! They are battery operated and cool to the touch so you can place them any where in the room! Your kids will loves having these in their rooms and they're also the perfect editions to a den, family room, man's cave or office! Find all of these amazing products at Target. These light's are easy to install, but make sure to use a stud finder because they need to be installed with a drywall screw rather than adhesive to attach onto a wall. Because the light is battery operated you don't have to worry about locating it near an electrical outlet to plug it in -- there is no cord to worry about. Though because it is powered by 3 x AA batteries it is more useful for ambient lighting or a night light than for serving as the main source for illuminating a room. Though the LED lights do provide a nice looking display, don't get hot avoiding safety hazards, and are very energy efficient which also makes them environmentally friendly. There is also the "coolness" factor to this light that will delight kids as my son was really impressed that his R2-D2 light doesn't just glow but rather emits light from movie accurate projectors that are incorporated in the lamp's model of the droid's design. 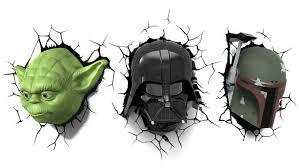 This really is the perfect addition to any boy's room who is a Star Wars fan. Additional Star Wars versions of 3DLIGHTFX 3D Deco Lights also available at Target include Darth Vader, Boba Fett, Yoda and the Death Star. These 3D Deco Lights really are impressive, most impressive. They aren't just for kids either as I'm pretty sure there are a lot of adults who would enjoy adding them to a home theater or game room. These really are worth checking out online or on your next visit to your local Target store.